Use the Differential Voltage Probe to measure low-voltage AC and DC circuits. 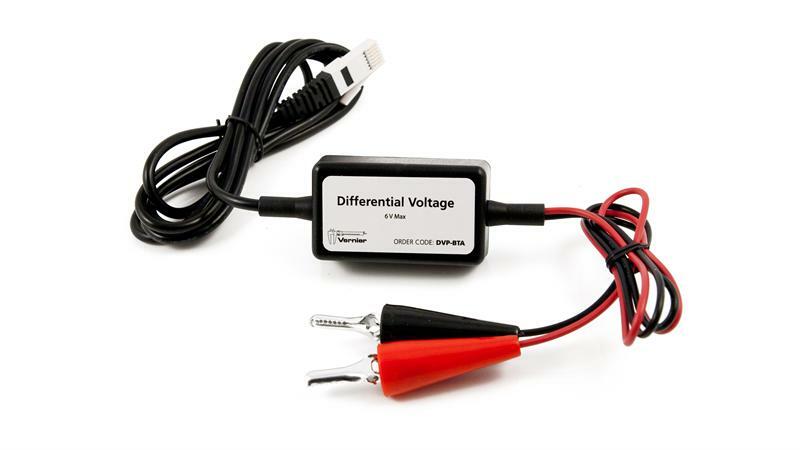 With a range of ±6.0 V, this system is ideal for use in most “battery and bulb” circuits. Use it with the Current Probe to explore Ohm’s law, phase relation-ships in reactive components, and much more. This differs from the Voltage Probe that comes with your interface in that neither clip is connected to ground. Use multiple sensors to explore series and parallel circuits. The Differential Voltage Probe requires a compatible interface and software to collect data. Interface and software sold separately.